I recently came across a new UK website called Total Women’s Cycling which is packed with lots of great articles and reviews about women’s cycling. I asked them if I could re-publish one of their articles by Jo McRae and they agreed that I could re-publish the first few paragraphs and a link to their site. So here it is. Some great tips on how to become a ‘serious cyclist’. Enjoy……..
Lots of us are active and cross-train effectively, putting cycling in the mix with a range of other activities and forms of exercise. If you believe in being healthy and active you may change your exercise routine from one activity to another to keep things interesting or to stay motivated. But if you are new to training specifically for cycling it can be difficult to pick the bones out of the fitness information out there. So what do you have to do to cross that line and become a ‘cyclist’ rather than a mere fitness enthusiast, and what difference will it really make? First of all it sounds obvious, but you have to be riding a bike regularly and it needs to be your main form of exercise. Look at the amount of time you have for exercise and other activities in your week and make sure you spend two-thirds to three-quarters of that time riding a bike. 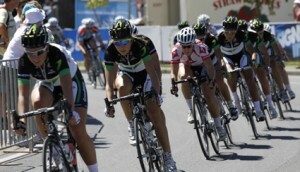 To read the rest of the article please visit the Total Women’s Cycling website….